The aim of Eg(Training) is to provide a service that meets the specific Speech and Language Therapy needs of each client. We can provide general Speech and Language therapy services. Our therapists can also draw on the specialist skills of our team to provide a tailored service to meet each individuals needs. Our therapists also have specialist experience of Cerebral Palsy, Dyslexia, Brain Injury, Mental health needs and Dual Diagnosis. 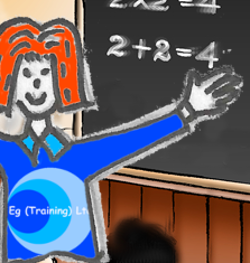 Eg(Training) are experienced at working with teaching and care staff to ensure therapy is a whole environment process. We are also experienced at liaising across different settings, for example working with a child at both home and school. This includes working with a range of people who may be involved in addressing an individuals needs eg: Parents, GPs, Case Managers, Occupational Therapists, Physiotherapists and Psychologists. Eg(Training) regularly provide services to contract venues across the East Midlands and West Midlands regions. We can also provide services to your venue further afield, please contact us to discuss your requirements. We can provide a therapy service to your clients on a range of time-scales from frequent intensive therapy to adhoc training and consultancy services. We can provide flexible services to meet your SLT needs and your budget. Please contact us to discuss your service needs further. We are always happy to discuss and advise.